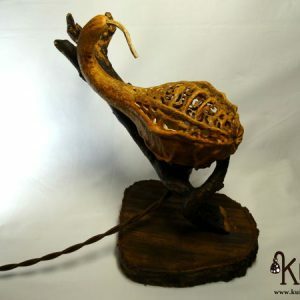 Rustic floor lamp.A beautiful floor lamp made with a gourd, with a rustic look and 100% handmade designed to decorate and give a mystical touch to any room. 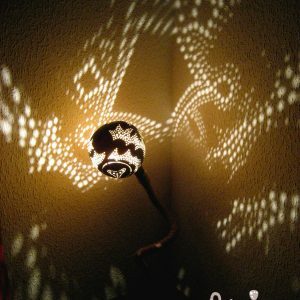 The lamp has been prepared carefully, taking care of every detail to achieve a finish that makes it unique. 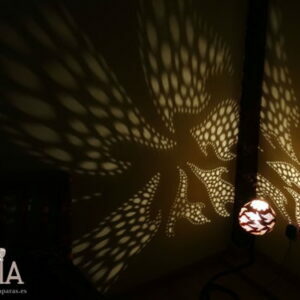 The projected light is designed for warm and ambient environment, getting some figures on the wall that make it a special lamp. 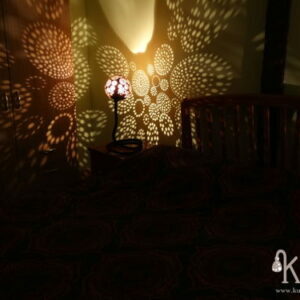 The trunk that has been treated and aged adds a personal touch to the lamp, giving it a more natural feel. 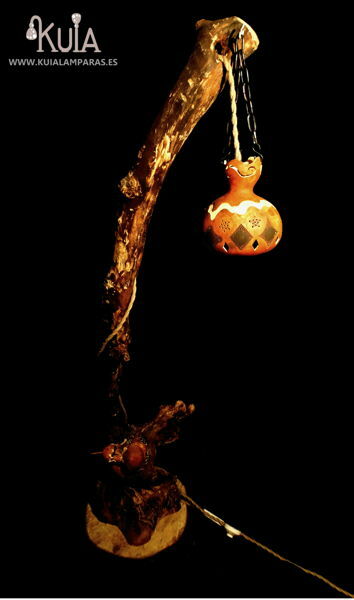 The gourd is hung up by a decorative chain, looking like fixtures of yesteryear. At the bottom, it has another gourd lamp embedded in the trunk. 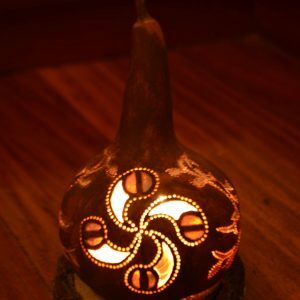 The gourd of the bottom is intended to give more light to the room where you want to put it, so it has been carved with more slots through which the light passed. 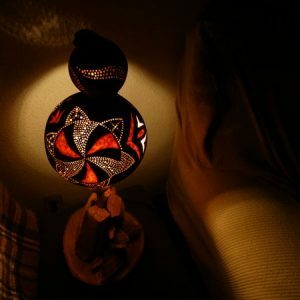 It has also placed a scallop shell, connecting the lamp with mystical pilgrim of the “Camino de Santiago”, who possessed this wonderful gourd for drinking water with the shell that is so well known.